Certifications are getting more and more important, in order to make processes more reproducible and avoid possible sources of errors from the beginning. 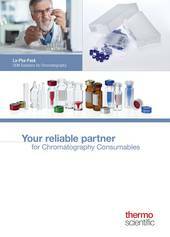 The LC/MS and GC/MS Certified KITs represent our premium range of certified products. Each lot of the vial/closure combination has been tested by LC/MS and GC/MS on traces of blank values and contaminations. 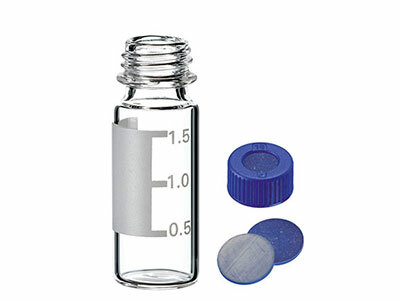 Available as clear and amber 9mm Short Thread Vial in the SureStop version with the sure-stop function for the lowest evaporation rate of all autosampler vials. 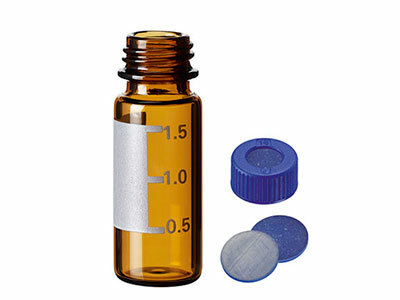 Additionally the glass surface provides very low adsorption tendencies for all types of polar compounds; in fact a lot lower as for all other vials of 1st hydrolytic class glass (without surface treatment). The closure contains a very soft ultra low bleed silicone septum with PTFE layer, optimized for ultra trace analysis. The batch-specific test certificate with the MS-Chromatograms can be handed out on request. The LC/MS and GC/MS certified KITs are delivered completely shrink wrapped in order to assure originality, purity and transport safety. Upon request further LC/MS and GC/MS Certified Vial KITs will be available.